It’s been twenty years since Katsuhiro Otomo’s Akira changed the way the UK watched Japanese cartoons. After 1991, a Japanese origin became something to be trumpeted: a selling point. But could that all be about to change again? My usual haunts aren’t there any more; old-fashioned browsing is becoming a thing of the past. Tower Records has gone. The Virgin megastores have gone. The HMV-Waterstones-Fopp conglomerate is now practically a UK monopoly, and still struggling. Fearing the worst, some video companies are losing the art of finding out what their audience wants. Or rather, they still have an audience. But it isn’t me any more. Perhaps we have passed a tipping point. Some of the new blurbs can’t be bothered to tell me about directors I might like, or actors I follow. Far better, it seems, to come up with a new, zappy title, hide the word “subtitled”, and hope it shifts from the bargain shelves in Sainsbury’s. Bang Rajan 2 has been retitled Blood of Warriors: Sacred Ground, because that way it doesn’t sound like a Thai sequel. 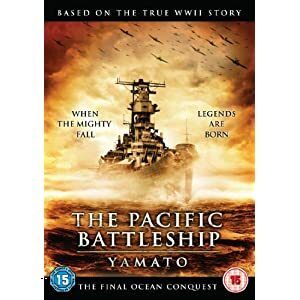 Pacific Battleship Yamato has sneaked out in the UK with the “Yamato” part rendered in smaller type, as if afraid of scaring people off. R-Point has just been re-released as Ghosts of War, with its Korean origins carefully shunted into the shadows. It seems that it really is more profitable to take a DVD downmarket to appeal to impulse buyers in the supermarkets. This brutally realist approach essentially gives up on specialist audiences. Terrifyingly, it even seems to make sound business sense. The sales figures for these films compare very favourably with those for bespoke, arty editions targeted at “fans”. The number of customers who will actively seek out a Kong Su-chang film, or ask for R-Point by name is greatly outweighed by the number of passing shoppers who will say: “Cool! Zombie Soldiers!” (Even if there aren’t any zombies in R-Point). The nature of the sales pitch has been reframed from cognoscenti to ignoramuses: less marketing, more downmarketing. Japanese animation has been here before. Anime pre-Akira endured thirty years with rewritten soundtracks, altered storylines and dumbed-down titles. That was the age of the Hidden Imports, when you could see anime on TV, but only shoved unceremoniously in the kiddie cartoon slots. If companies stop caring about consumers who care, then they stop advertising in specialist magazines. If they start categorising not by directors and stars, but by nothing but broad genres (“WAR!”, “GHOSTS!”), we could lose the kind of tagging data that makes it possible for Amazon to know you might like a particular movie. They could give up on DVD extras, because the new audience won’t want a commentary or a making-of. Look to live-action for a scary glimpse of anime’s possible future. Are we on the brink of a new Dark Age? Back to the bargain bins…? My article on Mamoru Hosoda’s Summer Wars is now being hosted over at the Manga UK blog. I’ll be at the legendary Hyde Park Picture House in Leeds on the 2nd April for the Young People’s Film Festival “WE ❤ Anime” day. I’ll be introducing screenings of Laputa, Summer Wars, Trigun: Badlands Rumble and Redline, and also giving a talk that is apparently called Wrong About Manga. Actually, it’s called Wrong About Anime, but that’s strangely apt considering the anime/manga confusion of the last twenty years. And yes, I will happily sign any copies of Schoolgirl Milky Crisis brought along. The new issue of Salon Futura is up online now, and features an article from me about Shotaro Ishinomori, Ken MacLeod on science fiction’s uses in international relations, interviews with Ian McDonald and C.E. Murphy, and much much more. As a special bonus: your chance to see Starfish Hitler. I’ve written a short obituary of the voice actor Kan Tokumaru, over at the Manga UK hub. At the beginning of the 1990s, Shinichi Suzuki got an offer he couldn’t refuse. Suzuki had been a Zelig-like figure in the history of anime and manga. He was one of the 1950s flatmates at the Tokiwa-so dormitory who ended up forming the nucleus of postwar manga, but he never really became a big-name manga artist. Instead, while his fellow creators dabbled in anime and largely retreated from it, Suzuki jumped in feet first, as an animator on Japan’s first anime TV series for Otogi Pro, and then as one of the main men at Studio Zero. But Zero closed down in 1971, and Suzuki drifted from job to job, doing opening animations for kids’ shows, or the animated bits on commercials for household appliances. As he faced retirement, it looked likely that his claim to fame would be as the inspiration for a ramen-loving character in Obake Q-taro, a series that nobody had heard of any more. And then, out of nowhere, UNESCO came calling. Or rather, the Asia/Pacific Culture Centre for UNESCO, an educational body that needed a cartoon. Suzuki was thrown in a room with the Malaysian comic artist Mohammed Nor Khalid, a.k.a. Lat, and ordered to come up with a book that promoted literacy among adults. They needed to make it fun, and they needed to make it transnational, and the result was the illustrated book Mina Smiles, a very simple story comprising colour images with comic-style word balloons placed outside the text. An eight-minute cartoon soon followed. It was paid for by a Tokyo insurance company, and involved Suzuki heading off to Kuala Lumpur to direct. He was shocked at the abilities of the Malay animation industry: already using computers in 1993. The story of the dark-haired dusky-skinned Mina, a married mother of five, was translated into a succession of languages in order to take its message to illiterate adults all over the third world, initially on VHS. When the DVD of Mina Smiles eventually came out in 2007, it contained a whopping 37 language tracks, including Mongol, Uzbek, Kiswahili, Wolof and Lao, not to mention Portuguese (for Mozambique) and Spanish (for everywhere else). Mina soon returned in other books designed to teach remote communities about ecological issues: Mina’s Village and Waste Management, Mina’s Village and the Forest, and the later, longer animation productions: Mina’s Village and the River and Mina’s Village and Fire Prevention. The simple Mina comic has reached an audience of millions, and the cartoon that accompanied it might be, for some, the only cartoon they have ever seen. Mina is an international star to rival Pikachu, recognised in classrooms over half the planet, but unless you work for UNESCO or learned to read in the Vietnamese jungle, you have probably never heard of her. Shinichi Suzuki came back to Japan to enjoy an active retirement as the curator of the Suginami Animation Museum, but when he sat down to write his memoirs, he didn’t begin with his star-studded celebrity encounters with Tezuka or Mizoguchi. He started with Mina, who taught people how to read. Jonathan Clements is the author of Schoolgirl Milky Crisis: Adventures in the Anime and Manga Trade. 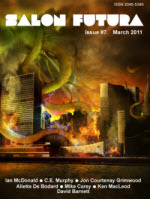 This article first appeared in NEO #81, 2011. I’m intrigued by the latest book from Toshio Okada, self styled king of the otaku and undeniable media studies guru. Sadly, only known in English for the persuasive fanboy diet book Sayonara Mr Fatty, although anime fans will be well aware of his immense contribution to the medium, both as a producer and critic. His Introduction to Otakuology remains a vital book for understanding the growth of the fan market in Japan in the 20th century; his Testament is a densely-packed info-dump of anime industry gossip. 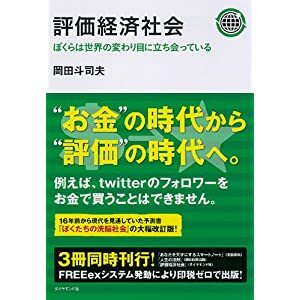 And now, Amazon Japan wastes no time in letting me know that he’s brought out yet another book on a fascinating subject: The Valuation Economic Society — I’m still wrestling with the correct translation for Hyouka Keizai Shakai, because “hyouka” is valuation, but also criticism and even review.